I just finished this book and had to make a post about it. Not that I'm going to go into an elaborate review, but this book is unbelievably, catastrophically awesome. Seriously - I implore everyone to try and get a copy of this book. Waterstones are currently offering it half price with any purchase (That's how I got it). There aren't many books that I reread but I can see me needing to go through more than one copy of this book in the years to come. I'm pretty gushing but I really thought it was that good. It's more sci-fi than fantasy but it is really very relevant to everything. And the geekery! Man the geekery in this book is phenomenal. Just about everything geekish ever gets a mention in this book. Awesome. So has anyone else read it? Lor, you should totally read this, it's fantastic. I think there are even some space pirates in it. Ready Player One's author Ernest Cline is a geek, there's no doubt about it, and it is not meant as an insult. Prior to his debut novel what he was best known was as the mind behind the 'geek' film Fanboys. Ready Player One is a love letter to the 1980's in all it's geeky glory. The story is actually rather simple. Computer whiz kid James Halliday created the OASIS; a huge interactive online experience that would one day eclipse the internet itself. The name OASIS is what future generations use to refer to being online. By the middle of the 21st century the economy has collapsed and global warming has all but destroyed the environment. The youth of the century live largely online, as an escape from the depressing reality of what is around them. OASIS is their lives. Halliday passed away in his late 60's, and did so without any heirs. He left a will of sorts and said that he had hidden an easter egg (a part of a computer program, genuinely a video game that programmers insert as a personal vanity card) in the OASIS and the first person to find it inherits everything, his personal fortune and GSS (the company that Halliday and his partner set up to run OASIS). However to find the egg hunters must first locate 3 keys and pass 3 gates. It's rather Willy Wonkaish, at one point the eccentric confectioner is actually mentioned in one of the novel's countless and highly entertaining pop culture references. The hunt for the egg inspires a whole new counter culture. Those poring over the OASIS and Halliday's life to find it, being obsessed with the 1980's; the decade he grew up in, Halliday mined the decade's culture extensively to hide the egg, become known as gunters, a corruption of the words egg hunters. The gunters team up in clans or search solo, their opposition are what they call Sixers, employees of GSS' only real competition, the giant multinational IOI, who wants to gain control of the OASIS so that they can exploit society's reliance on it for further profit. IOI pretentiously call their egg hunters oologists. The hunt continues fruitlessly for half a decade, then a previously unknown gunter by the name of Parzival finds the first key. Once the first key is uncovered the hunt is on well and truly, as other gunters and the Sixers start to work it out and the slots on the scoreboard fill up with a mixture of gunters and Sixers. The book is the story of Parzival and his hunt to find the egg, the aliiances he makes with other gunters on the way and their fight to prevent the Sixers from getting their hands on the keys, through the gates and retrieving Halliday's egg, fighting to stay alive in the real world and the OASIS every step of the way. I confess to really loving this book. Like James Halliday I too am a child of the 80's, so I got most, if not all of the references. I'm also a bit of a geek, so I picked up most of those too. I'm not a gamer, and a lot of the book was about gaming, but I had friends who were, and things are explained well enough that I had no problem following those sections of the book. The main protagonists were also well done. The gunters of Wade (Parzival), Aech and Art3mis are engaging and interesting characters. They all have histories and are believable as people that prefer to live their lives online behind the anonymity of their avatars. Wade is an atypical overweight loner, Art3mis' intellect and flip manner hides a secret about her appearance, and Aech is a mystery wrapped in an enigma. The Japanese duo of Daito and Shoto I found a little too stereotypical. The leader of the Sixers; IOI executive Sorrento, was also a total black hat, but I enjoyed having a defined bad guy to hiss at. The shades of grey that permeate SFF at the moment are all very well, but there are times when it's nice to have it laid out in black and white. There is another main character in Ready Player One, and that's one that has been dead for a number of years when the story starts; James Halliday. 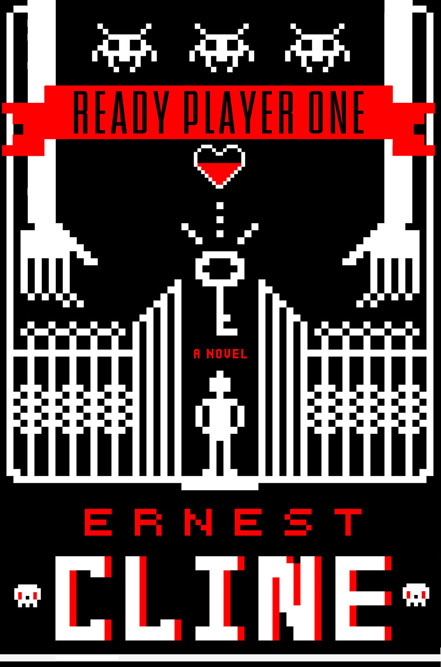 Ernest Cline has very skillfully woven the story of the eccentric genius into his narrative, this serves the multiple purpose of making Halliday into a character, exposition about the world and the OASIS and also gives enough information about the game or movie scenario to the uninitiated so that they are not left in the dark. Unsurprisingly with his background Ernest Cline writes in a rather cinematic style. Ready Player One would make a great movie, and at times it has the feel of one of the classic 80's teen films that were so beloved of James Halliday. There is a hint in the authors note at the back of the book that a movie may be coming our way soon. I certainly hope so. 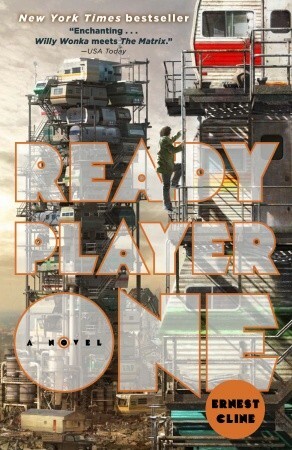 I had a ball with Ready Player One and it's jumped into my list of favourite reads this year! Theres is certainly a mention of a particularly famous band of space cowboys! EDIT: Make that 2 bands of space cowboys! I love that you saw my name, and immediately reaponded "pirates!" I love you guys. Gonna orser me a copy of this on payday next week. I think all of the reviews I've seen of this book up to now are by gamers and I'm not, so I was still a bit unsure about this even though it sounded like something I'd enjoy. I'm more inclined to read this now I know that not being a gamer isn't going to affect my overall enjoyment of the book. I'd never heard of this one until it was nominated for the sci-fi book club and the title says that this book is all about gaming, and whilst I probably wouldn't have really worried about that much if it was about a game that had been created just for this book, it sounds like there will be loads of references to actual games that I'll never have heard of or even if I have heard of them will never have played and so I was concerned that I would get a bit lost or even too distracted by trying to understand these references and that it would ultimately spoil my enjoyment of the book. I think I think too much, sometimes! Although the games do factor into the story a lot, you really don't need to know what each one is beforehand. Beyond Pacman I don't think I'd heard of any of the others! Plus a lot of 80s movies, music and general trivia goes into the book and plot too. Hope this helps! I had a friend who was talking about how great this was recently. Now, this...I think I'm going to have to head that way and check it out myself. It's a very good book, though the character constantly annoyed me by explaining references all the time. (a) The friend I lent this to is now systematically reading/watching/playing everything referenced in the book.